Last week was National Drive Electric Week and events were held in all 50 states to extol the virtues of electric vehicles (EVs). And EVs do have certain advantages that those who can practically take advantage of them enjoy: they tend to be cheaper to own, cheaper to maintain, they reduce carbon emissions, they – along with domestic oil and gas production – reduce our dependence on foreign oil, and they are fast and fun to drive because of their instant torque. 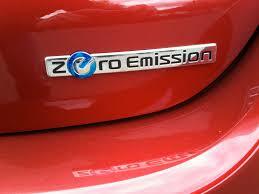 What EVs are not is “Zero Emissions,” despite the implication made by numerous manufacturers. 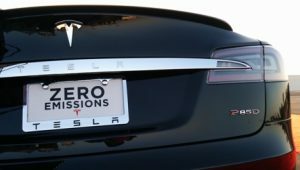 Yes, EVs have no tailpipe exhaust (and no tailpipe!) and thus no CO2 is added to the atmosphere from burning gasoline or diesel, and this is a good thing from a climate perspective. But from the rubber, literally, meeting the road, to battery production, to manufacturing, to charging, EVs still use plenty of fossil fuels and contribute to greenhouse gas emissions, albeit fewer of them. In addition, EVs are not (yet) accessible or practical for most Americans. Certain basics of the manufacturing process must be considered when examining the environmental impact of EVs. In 2015, the Union of Concerned Scientists conducted a rigorous assessment of the carbon footprint of EVs in comparison to internal combustion vehicles. Further, EV manufacturers are always looking to develop bigger and better batteries that provide more mileage range per charge. Unfortunately, the larger that batteries get, the greater the emissions will be as a result of their production. A report by the Swedish Environment Institute last year found that car batteries used in EVs generate so much CO2 that it cancels out some of the climate benefit. One of the report’s authors found that it would take a Nissan Leaf 2.7 years, and a Tesla Model S 8.2 years, of driving before any emissions saved would compensate for the emissions associated with battery pack production. And these calculations were based on battery production in Sweden, where solar, wind and hydropower account for half of the country’s electricity. The U.S. on the other hand, still relies heavily on non-renewable energy sources with 78 percent of its total energy production coming from coal, oil, and natural gas, which means that emissions mitigation could take even longer. Another speed bump in the way of a “zero emissions” electric car is the mining of ingredients needed to build lithium-ion batteries and to provide magnets to electric motors. In 2016, Tesla CEO Elon Musk confirmed that the battery his vehicles use are mostly made of nickel and graphite, with lithium itself merely “the salt on the salad.” Of course, the extraction of these metals comes at a cost. In 2017, the Philippines shuttered 17 nickel mines because of environmental concerns. The mining of nickel-rich ores themselves, combined with their crushing and transportation by conveyor belt, truck or train, can generate high levels of dust in the air, dust that itself contains high concentrations of potentially toxic metals, including nickel itself, copper, cobalt and chromium. Though the negative environmental effects of batteries will be reduced as battery lifetimes grow longer, the present average lifetime of an EV battery is about 9 to 10 years, after which the capacity is below 70 to 80 percent and it is no longer strong enough to power the car. As well, the mining of rare earth metals is necessary to manufacture the powerful magnets that help power many EV motors. Rare earth magnets are the most powerful magnets in existence, and they mostly use neodymium (Nd) and praseodymium (Pr). These elements are found in “permanent magnet” style motors, though not in alternating-current induction motors. And while the Tesla Model S and Model X feature alternating-current induction motors, the new long-range version of the Model 3 uses a permanent magnet motor, as do EVs from many other manufacturer. It is Tesla’s decision with the more-affordable Model 3, however, that is likely to spike demand for rare earth elements like neodymium. “Rare metals only exist in tiny quantities and inconvenient places — so you have to move a lot of earth to get just a little bit. In the Jiangxi rare earth mine in China…workers dig eight-foot holes and pour ammonium sulfate into them to dissolve the sandy clay. Then they haul out bags of muck and pass it through several acid baths; what’s left is baked in a kiln, leaving behind the rare earths required by everything from our phones to our Teslas. It remains true that driving a Nissan Leaf, Chevy Bolt or any Tesla will produce fewer emissions while driving than would any gasoline-powered car, but significant emissions are a necessary byproduct of production of EVs before any of these cars can even hit the road. As noted above, once they are on the road, EVs do not emit exhaust from a tailpipe – but that doesn’t mean that they aren’t contributing to emissions, it just means that the source of emissions moves from the car to a power plant. EVs are charged via the electric grid, which is powered largely by fossil fuels. The way it works is simple: an EV has an electric motors that is powered by a large lithium-ion battery pack which, like a mobile phone, must be plugged into a charging station or wall outlet to charge. The electricity used to charge this battery is produced by largely by burning fossil fuels or by generating renewable energy. The fact is that more than 64 percent of electricity in the United States is generated by coal, natural gas or other fossil fuels. The magnitude of car charging-related emissions was investigated by the University of Michigan’s Transportation Research Institute. The Institute found that an EV charged by a natural gas-powered plant is equivalent driving a car that gets 58 miles per gallon, double the national average. Depending upon the energy source, this number varies – as renewables performed better than fossil fuel sources, of course. However and again, only a small portion of the nation’s electricity comes from renewables. In the U.S. and around the world, 6.5 out of 10 times an electric car powers up, it is doing so thanks to fossil fuels. California is the state leading the charge in the fight against climate change; it is therefore no surprise that the it sells the most EVs in the United States, even though they still account for around only five percent of the cars on the road in the Golden State. So, while EVs can reduce emissions even though they do not mean the end of fossil fuels, one final note of caution is needed about the likelihood that EVs will replace ICE vehicles in the near future. In the short term, EVs are simply not accessible to most people, even in California. A well-equipped Tesla Model S sedan or Model X SUV is a six-figure purchase. The down payment alone is something that most Americans cannot comfortably afford. Even a loaded Model 3, Tesla’s current budget model, can top $50,000, which is out of reach for many Californians. There are less expensive EVs but they are not practical for long-distance driving as there is no fast-charging infrastructure (yet) to support them, making them impractical for many commuters or those who require interstate travel. While a Tesla can be driven anywhere in North America and Europe and always be in reasonable proximity to free or low-cost charging, no other current brand can provide this. Until economy car manufacturers invest in a low-cost, widespread charging infrastructure and luxury brands like Tesla come down in price, electric vehicles remain an impractical solution for the average lifestyle and wallet, even in progressive California. It is an unfortunate fact that in California, where most of the country’s EVs are driven, more than one million people live in energy poverty, spending more than 10 percent on their income on energy – not including gasoline and transportation. A study conducted by Pacific Research Institute found that, under a renewable-intensive energy plan, that rate could nearly double, mainly affecting low-income young adults and senior citizens not economically equipped to bear the extra expense. Still, activists in the California legislature pursue extreme measures — like, for example, “100% renewable energy” proposals or even AB 1745 which would have imposed an outright ban on the sale of ICE vehicles after 2040. BP conducted alternative scenario studies on this proposal. The modeling assumed that the electricity used to power the EVs was generated entirely by renewable forms of energy but still found the change in demand on liquid fuel to be negligible. Even more interesting is BP’s finding that the environmental impact of more EVs being on the road would be offset by less investment in other forms of vehicle efficiency. And just because engines would be banned it doesn’t mean that gasoline powered cars disappear. For the average individual, a car is not an annual purchase so the demand for electric vehicles wouldn’t be immediate for middle class families. Low income drivers in particular would be in no rush to replace their cars with electric vehicles, given the cost. And since the ban wouldn’t change demand, there would be a marginal impact on carbon emissions.